Vietnam’s capital has shrugged off its hostile war-torn image to emerge as one of Southeast Asia’s best and most culturally significant cities. There are countless museums, all offering visitors a chance to better understand Vietnam’s history of revolution, war and art, while the tangled web of streets in the historic Old Quarter are a great place to wander around. It’s a great launching pad for trips into Sapa and Halong Bay. Overall, I enjoyed the city and its delicious mix of French colonial architecture. Hostel prices: Dorms start at 55,000 VND while private rooms are between 218,000 – 430,000 VND for a double. Budget hotel prices: Private rooms average 325,000 – 650,000 VND for a double. Average cost of food: Street food is delicious and extremely cheap, with many dishes for less than 16,000 VND. 85,000 VND is enough for a meal in a casual restaurant. Transportation costs: Bus fares are usually no more than 1,000 VND and taxis start at 19,000 VND for the first two kilometers then 12,000 VND per kilometer thereafter. Eat from street stalls – For the cheapest food in the city head to the Old Quarter which is packed with low-cost eats at the street stalls. Negotiate – You should barter for everything from street stalls, markets and taxis. Tourists are often quoted huge prices and bargaining is expected. Take the bus – These are the cheapest and most hassle-free way of getting around the city and are comfortable and efficient. Drink Bia Hoi – This draft beer is available on the street throughout Hanoi and starts at merely 3,000 VND per glass. Wander around Hoan Kiem Lake – Get here early in the morning to watch throngs of people practicing Tai Chi, running, cycling and walking before their working day begins. In the center of the lake is the Tortoise Pagoda, a shrine to the famous giant turtles that live in the lake. The lake is very beautiful and there is a temple worth visiting on the the north end of the lake. Visit the Vietnam National Museum of Fine Arts – The Fine Arts Museum is a must-see if you are interested in the various styles of Vietnamese art. There are fantastic exhibits of Buddhist art, folk art and silk and lacquer paintings but the museum’s most impressive feature is Kouan Yin, the goddess of mercy who is depicted with a thousand arms and eyes. See Quan Su Pagoda – As the headquarters for the Vietnam Central Buddhist Congregation, Quan Su is one of the most important temples in the country. If you’re going to visit any of Vietnam’s pagodas, this 15th century one is the one you should see. Visit One Pillar Pagoda – Built in 1049, One-Pillar Pagoda sits on stilts over a lake and is a miniature reproduction of the original temple built by the Ly Dynasty. A prayer at this little wooden pagoda is said to bring fertility and good health. Pay your respects at Ho Chi Minh Museum & Mausoleum – Ho Chi Minh is Vietnam’s leader and founder of the communist state. Ho lies in state at this grey concrete mausoleum, which is not far from the museum dedicated to his life and belongings and the house he used to live in. You’re able to walk through and see his embalmed body when it is not being repaired in Moscow. It’s morbid and fascinating at the same time. Tour Hoa Lo Prison – U.S. POWs named Hao Lo “the Hanoi Hilton” and this is where many U.S. soldiers were tortured. Sen. John McCain from Arizona is its most famous prisoner. What remains of the building is a small museum, complete with the guillotine used to execute detainees. Again, morbid but interesting. Shop at Dong Xuan Market – Hanoi’s oldest market is located in the Old Quarter. The market is multi-storied and sells everything you could ever expect, especially a lot of knock offs. The market is a bit of a Hanoi institution and probably the best place for low-cost shopping in the city. Wander around the Old Quarter – The Old Quarter’s 2,000 year old streets are a web of shopping opportunities and cheap eateries. Gold and silver jewelery, clothes, cosmetics and even musical instruments can all be bought here alongside a myriad of other goods. There’s also a lot of fascinating old worn French architecture around and you can still see the strong French influence in the area. I never bought anything but I found the chaos, the crowds, and the maze of streets fascinating to witness. Go to the Army Museum – References to Vietnam’s tumultuous history of combat are everywhere in Hanoi and a visit to the Army Museum is a good way to bring it all together. The museum has an excellent collection of planes, tanks and guns supplied by the Chinese and Soviet armies, alongside dozens of captured French and US made war machinery. Visit the Temple of Literature – Built in 1070, the Van Mieu temple is a great example of traditional Vietnamese architecture and is one of the oldest structures in the country. Originally dedicated to Confucius, what remains today of ancient Vietnam’s center of learning is five courtyards decorated with stelae which served as diplomas for the universities first doctorate students. Learn some women’s history – The problem with written history is that so much of it revolves around men, and female contributions tend to fall to the wayside. The Vietnam Women’s Museum tries to turn this around with exhibits about the history and daily lives of women in Vietnamese society. There is some great material to encounter here, as well as some video interviews that will give you better insight into the life of a female street vendor. Watch a water puppet show – Water Puppetry as an art form dates back over a millennium in Vietnam. Near the lake you can take in a show at the Water Puppet Theatre. Puppets are carved from wood, and the shows are performed in a waist-deep pool, which makes the puppets look like they’re walking in water. This is a very unique and worthwhile cultural experience. Explore the Museum of Ethnology – The Vietnamese Museum of Ethnology is a multipurpose institution, serving as both a research facility and a public museum. 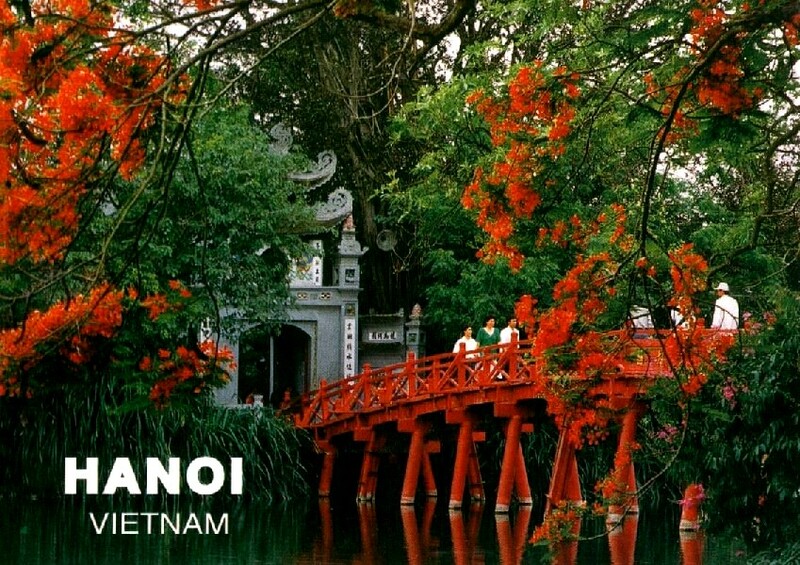 It contains exhibits on the different ethnic groups which reside in the country, and will give you a much better understanding of Vietnamese history.